The AMPS is a program administered by the Canada Border Services Agency (CBSA) that promotes trade compliance by using a system of graduated fines and penalties when a contravention occurs. How much is an AMPS Penalty? The monetary penalty is based on the type of contravention and the importer’s previous compliance history. When CBSA determines that the trader knew, or should have known, that an error or contravention occurred, they may issue an AMPS penalty. In many cases this is done in unison with a Detailed Adjustment Statement (DAS) outlining what changes must be made to a declaration. It is not unusual for an AMPS penalty to generate only one DAS as the single identifiable error or contravention. This results in a penalty with instructions to correct all other similar errors. Many importers believe the initial penalty is small and not worth appealing. However, once the importer corrects all other similar errors, as they are instructed to do, the CBSA then issues AMPS penalties for all of the corrections that were made. The difference between the initial penalty and the final penalty amount can be a very unwelcome financial surprise. The first process in preparing a successful AMPS appeal is to determine whether a contravention has actually occurred. If you believe there was no contravention, your appeal is formed to provide facts concerning why you believe a contravention did not take place. If a contravention has occurred but you want to fight the penalty, a different approach must be taken. The time limit for presentation of the appeal depends on the situation. What is “Reason to Believe”? There is confusion in the industry regarding what constitutes “Reason to Believe”. Speak with a customs professional who can provide all of the facts before you form your appeal based on the “Reason to Believe” legislation. The supporting documentation, factual information and logic are extremely important when appealing an AMPS penalty. Unlike other appeal processes where an importer can challenge a decision from an appeal, only lawyers can challenge a negative decision rendered from an AMPS appeal. In other words, you get one good shot at convincing CBSA to see the situation in your favour. If they disagree, you’ll need a lawyer. The Canada Border Services Agency has programs that may assist to offset the cost of AMPS penalties. These programs come with commitments. Be sure to speak with a customs professional before agreeing to participate in a penalty reduction program. If your firm has received an AMPS penalty as a result of the actions of someone else, and this someone else offers to give you the money to pay the penalty, consider the AMPS penalty escalation system before agreeing. There have been cases where others take responsibility for an importer’s 1st level penalty. Later, the importer makes its own first error but the penalty is calculated as if it was the 2nd level penalty. Discuss this scenario with the paying party before finalizing an agreement for them to pay the AMPS penalty. It is highly recommended that a third party be hired to review and prepare AMPS appeals. . Hiring a third party that was not associated with the transaction that resulted in an AMPS contravention will ensure you receive a completely unbiased opinion of the situation. This may sound self-serving coming from a customs advisory company, but it is sound professional advice. Of course, it would be great if you selected TCA for assistance but if not, choose a competitor. TCA has some clients that are customs brokers. 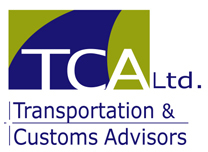 These customs brokers hire TCA to prepare all of their clients’ AMPS appeals. This way, the customs brokers is assured their client receives an impartial opinion of the situation. It also assists to improve the broker’s client retention. TCA’s customs broker clients believe it is best to have a third party (TCA) tell an importer that the AMPS penalty was caused by them or their agent. When this news is delivered by a customs broker; whether accurate or not, it is perceived to be self-serving.